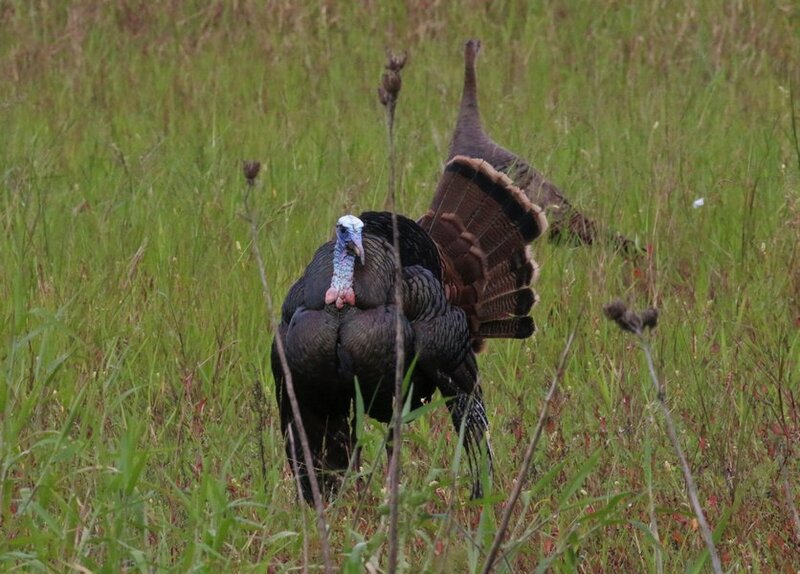 Talk about strutting your stuff. 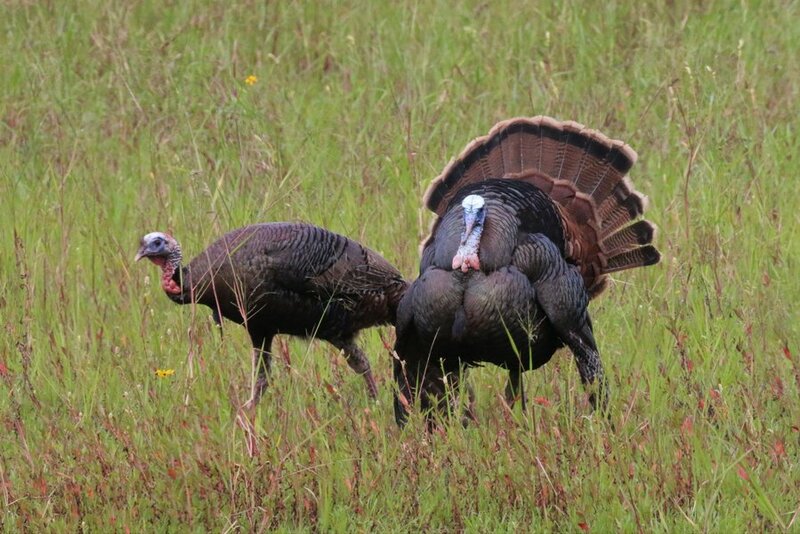 That's exactly what I witnessed when I came upon a flock of turkeys at Myakka River State Park. I had just gotten to the split and turned in the direction of the boat launch/canoe livery when several hens came trotting out of the field, across the road and into the campgrounds. By the time I stopped my car, they were gone, but still in the field was MR. HOT-TO-TROT and a few of his lucky admirers. He must have been feeling pretty good as he strutted magnificently in and among the girls. I could see them whispering to one another how cute he was. 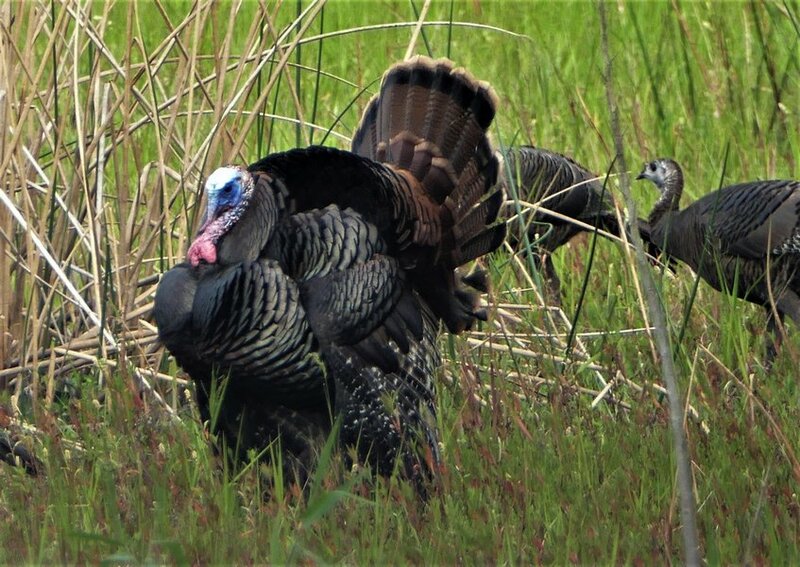 Dropping his wings down to allow his primary wing feathers to touch the ground and then lifting his tail and fanning it out in all its glory was broadcasting to the ladies, "I'm the MAN!" 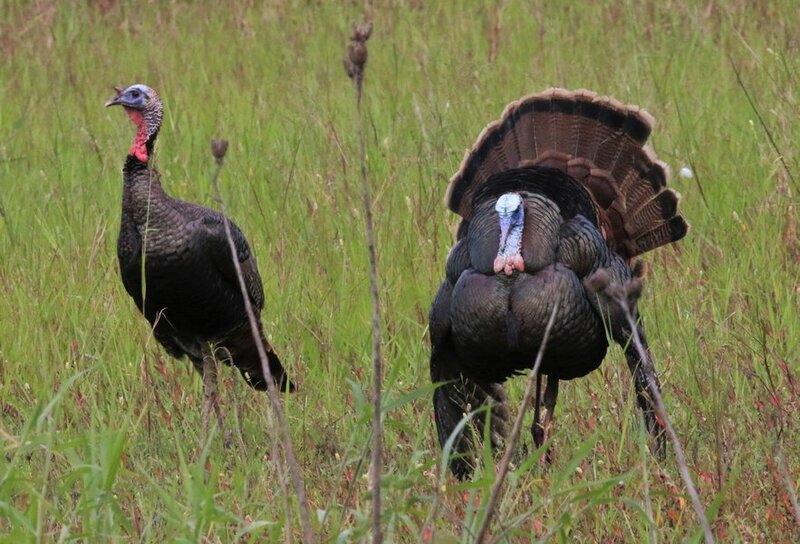 This is also called a STRUT and is how a male turkey meets his women. It was certainly evident that this was one turkey who knew how to "work it" and since I was standing between him and his harem on my side of the road, I felt it best to leave so he could take his strut and work his magic among interested parties on my side of the road as well. My next stop was the weir and a kindly woodstork was the first to announce my arrival. 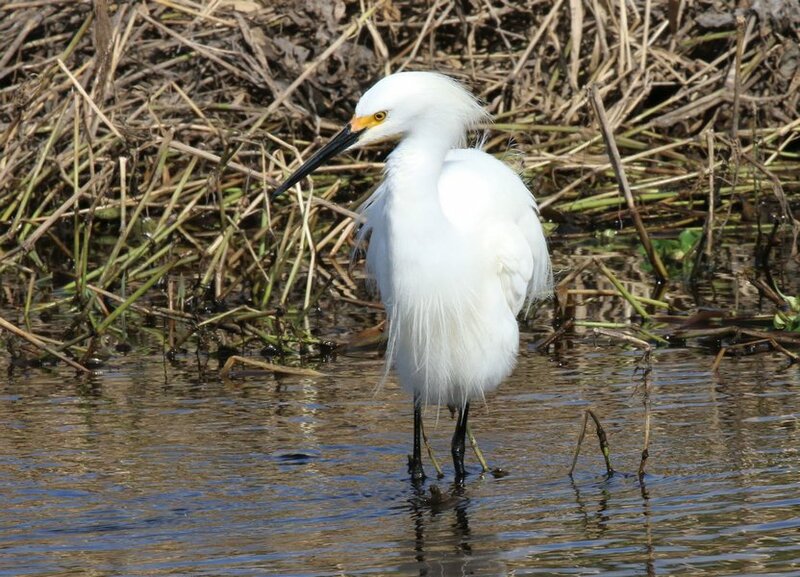 A snowy egret wasn't at all interested in making my acquaintance and in fact, gave me a rather "chilly" reception. 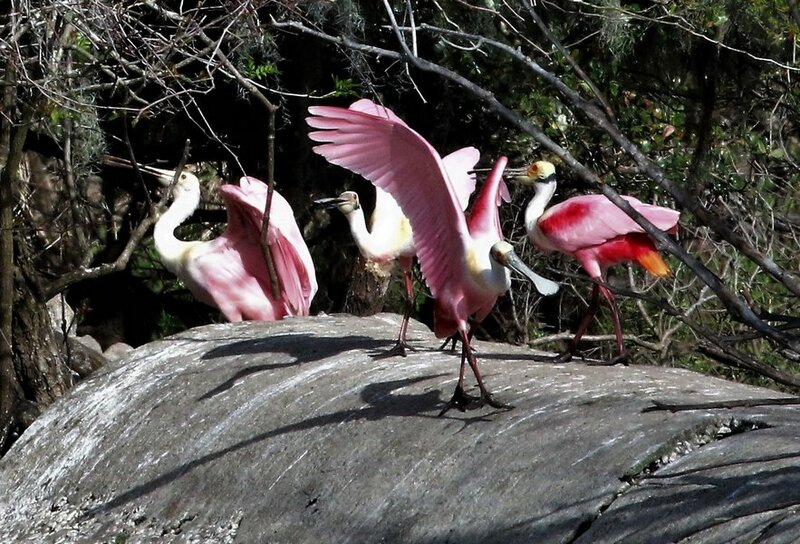 However, the roseate spoonbills looked as though they might be in a playful mood and appreciate some company but they were so far away that it wasn't practical to engage with them. Who knows, maybe it was all just an act anyway. 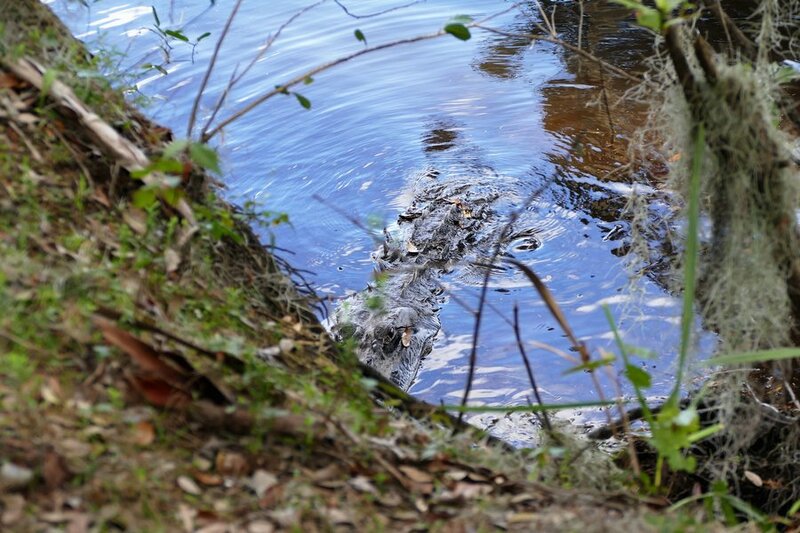 It was getting too busy to find out, so my last stop was to at least check on the alligators along my favorite trail. It was still early in the morning and I wasn't sure if I'd find many out on the banks, but I did see a few. Because I had noticed an alligator swimming down the river, I knew I could get a nicer vantage point with the sun in a better position if I just went up a few more yards and photographed the other one already out on the bank. I continued down the trail another ten to twenty yards and took the next cleared area to the river. It's not a launch area for a kayak. It's just a viewing area to better see the river or any alligators which might be out and about. To my surprise, there WAS one out and about and he was NOT on the other side of the river. He was RIGHT BELOW ME! At first I thought it was a log. My second look said, "Whoa....Alligator...." I managed to get 2 quick shots before I high-tailed it out of there--no strutting for me!! 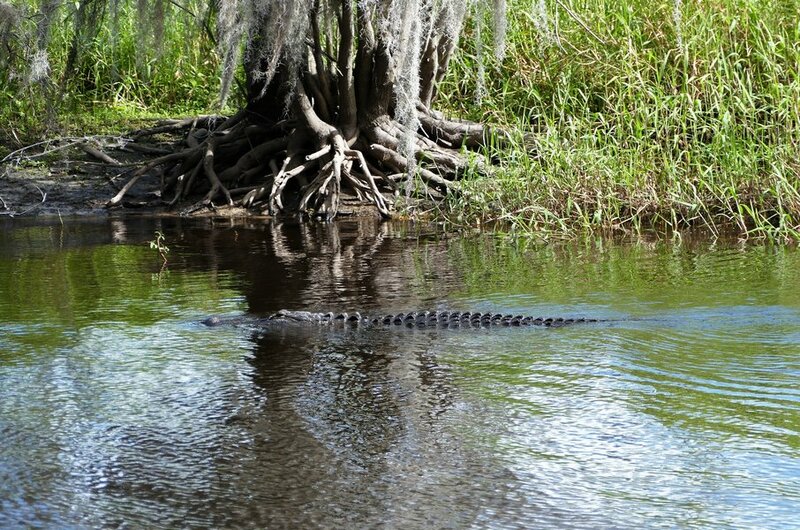 Sure was glad this alligator did not feel threatened. 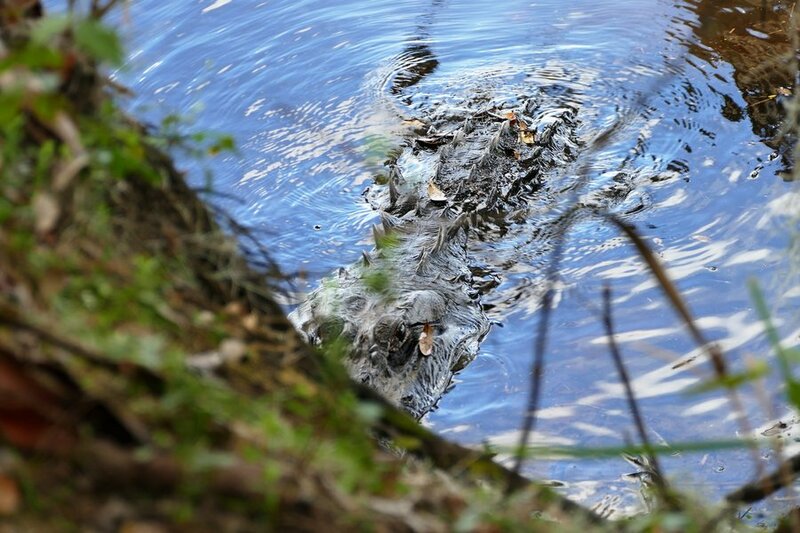 100% of all donations go directly to the Friends of Myakka River whose goal is to protect and preserve the "wild and scenic" Myakka River.